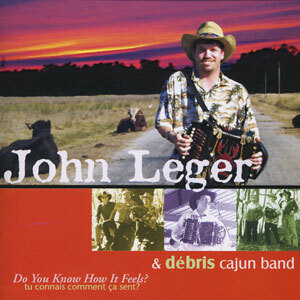 Accordionist John Leger from southwest Louisiana is one of the rare and unique individuals in existence who possesses that special “oneness” with an instrument that can only be explained as a God-given gift of music. The Debris Cajun Band was conceived in Creole, Louisiana in 2003 when John Leger, Frank Pickett, Cedric Hebert, Lind “Peshue” Dalen, & Abe Manuel, Jr. were playing together at Peshue’s establishment. Their first CD, titled Do You Know How It Feels, was released on Swallow Records in March 2004.